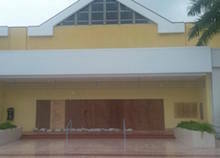 · Hill View Seventh Day Adventist Church – Tonique Williams Darling Highway is at capacity with 305 people. Can accommodate 250. · New Providence Community Church, Blake Road is at capacity with 183 people. Can accommodate 150. NASSAU, The Bahamas – Due to the potential excessive flooding posed by Hurricane Matthew, the National Emergency Management Agency, NEMA, is strongly advising residents in low-lying areas to evacuate and seek the nearest hurricane shelters in their respective areas. FREEPORT, Grand Bahama – Members of Grand Bahama’s Disaster Preparedness Committee held a press briefing on Wednesday morning in preparation for the arrival of Hurricane Matthew, which is currently moving through The Bahamas as a Category 3 storm. NASSAU, The Bahamas – In a coordinated effort amongst the relevant agencies the National Emergency Management Agency, NEMA, has designated the Kendal D L Isaacs Gymnasium as a Hurricane shelter as New Providence braces for the onslaught of Hurricane Matthew. The gym opened at about noon on Wednesday, October 5, 2016 and accommodated six families who presented themselves for refuge at that time. The gym, located at the Queen Elizabeth Sports Centre has the capacity to accommodate 460 people. ( The Tribune) Evacuation orders have been issued in Grand Bahama for residents in West End, outlying settlements along the southern coast and in East Grand Bahama. Emergency Operation Centres have been activated, and all shelters were open at noon on Wednesday. Minister for Grand Bahama Dr Michael Darville advised all residents in those areas where an evacuation order has been issued to get to a designated shelter or with families members who live inland. 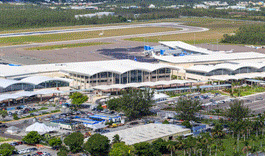 The Nassau Airport Development Company Ltd. wishes to advise the public that the Lynden Pindling International Airport (LPIA) is operating as normal today. 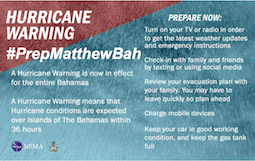 NASSAU, The Bahamas - The National Emergency Management Agency, NEMA, has released engaging content, attached graphics to social media posts. NASSAU, The Bahamas– The Cabinet Office has announced that all Government Offices in New Providence and Grand Bahama will be closed as of 3pm today – Tuesday, October 4 – until further notice. 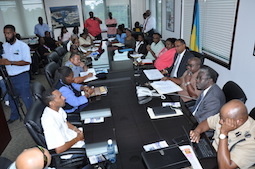 The Cabinet Office further advises Bahamians throughout The Commonwealth of The Bahamas to continue with their hurricane preparations and to observe all National Advisories/Alerts/Watches/Warnings issued by the National Emergency Management Agency, the Bahamas Department of Meteorology and other essential Government Ministries/Corporations/Agencies and Departments. PUBLIC SCHOOLS in the SOUTH EASTERN Bahamas will CLOSE TOMORROW, MONDAY OCTOBER 3rd UNTIL FURTHER NOTICE. MAYAGUANA, INAGUA, CROOKED ISLAND, ACKLINS, RAGGED ISLAND, LONG CAY and SAMANA CAY. Schools in the CENTRAL BAHAMAS will close on TUESDAY, OCTOBER 4th. NASSAU, The Bahamas -- Prime Minister and Minister of Finance the Rt. Hon. 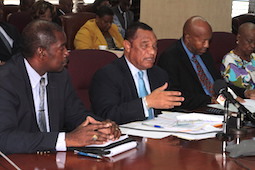 Perry Christie, on October 3, 2016, addressed the nation on the plans already implemented for the approaching Hurricane Matthew, which is already at a category 4 level. "As of now, we are urging all Bahamians to take maximum safety precautions for yourselves and for your families," Prime Minister Christie said at the press event held at the Cabinet Office. "It costs the Government a great deal if they have to go in hazardous circumstances and situations to rescue people and we try to avoid that." Nassau, Bahamas – 3rd October, 2016 –The Ministry of Education, Science and Technology wishes to advise that ALL schools in the NORTHWEST BAHAMAS will be CLOSED ON WEDNESDAY, 5th October, 2016. No staff or students are to report to schools on this day as we brace for the arrival of Hurricane Matthew. Further updates and notifications on the reopening of schools will be provided as soon as the ‘all clear’ is given. The islands in the Northwest Bahamas include: Abaco, Andros, Berry Islands, Bimini, Eleuthera, Grand Bahama, New Providence. 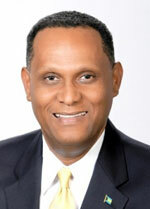 FREEPORT, Grand Bahama – Minister for Grand Bahama the Hon. Dr. Michael Darville brought all the players to the table early Monday morning ensuring that all agencies are on the same page when it comes to facing Hurricane Matthew. As The Bahamas remains under threat from Hurricane Matthew, please be advised that The College’s Oakes Field and Grosvenor Close campuses in New Providence and the Northern Bahamas Campus in East Grand Bahama will be closed on Wednesday, October 5th, 2016. This means that operations and classes will be suspended. The closure includes the Harry C. Moore Library and Information Centre and Chapter One Bookstore. Due to the anticipated effects of Hurricane Matthew on The Bahamas, the U.S. Embassy in Nassau will be closed for routine Consular Services from Wednesday, October 5 through Friday, October 7. The Consular Section will only offer emergency American Citizen Services between Wednesday, Oct. 5 through Friday, October 7. 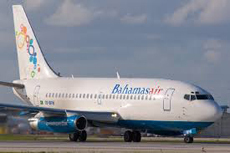 Bahamasair wishes to advise the travelling public that due to the impending approach of Hurricane Matthew, all services to the southern islands will be suspended effective Tuesday October 4th. The area of low pressure associated with a tropical wave between northeast Cuba and the Southeast Bahamas has become less organized and conditions less favorable for development over the next two days or so. 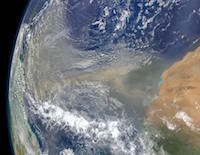 NASSAU, The Bahamas – The National Emergency Management Agency continues to closely monitor the activities in the tropics, particularly the movements of a system projected to produce heavy rainfall across the Southeastern and Northern Bahamas. 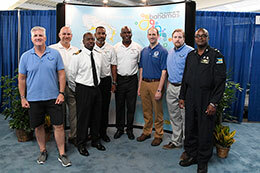 OSHKOSH, Wisconsin – The Bahamas continue to achieve monumental success and set historic records on the international front, this time being named the First “Weather Ready Nation Ambassadors” by the National Oceanic Atmospheric Administration (NOAA). 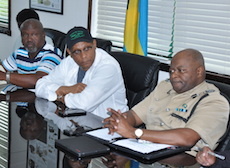 The announcement was made on July 26, at the 2016 EAA AirVenture Conference, in Oshkosh, Wisconsin and accepted by representatives of the Bahamas Department of Civil Aviation, Royal Bahamas Police Force and Bahamas Ministry of Tourism. NOAA which has a membership of 3,300 weather professionals, started the ‘Weather Ready Nation Ambassador” initiative three years ago to educate its citizens on the importance of preparedness and protection in weather conditions..